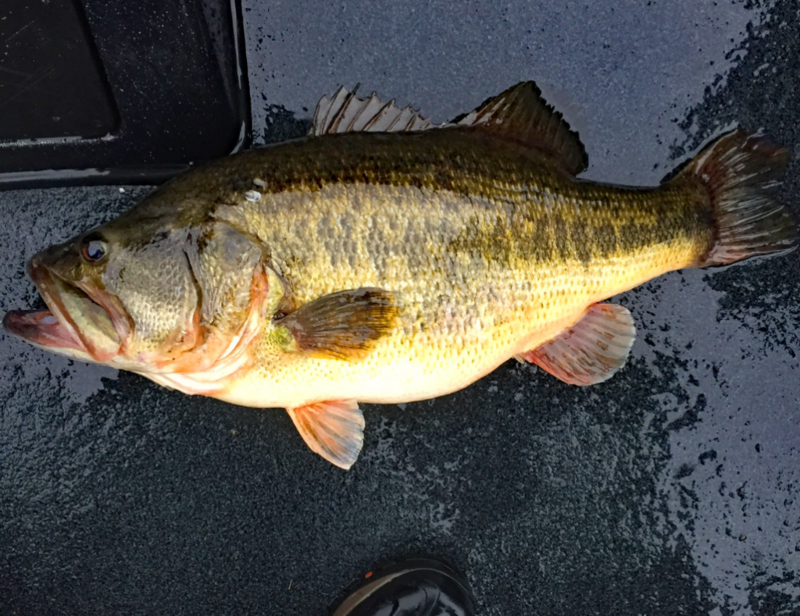 Just in from WTVC News, The Tennessee River has pumped out another MEGA BASS! 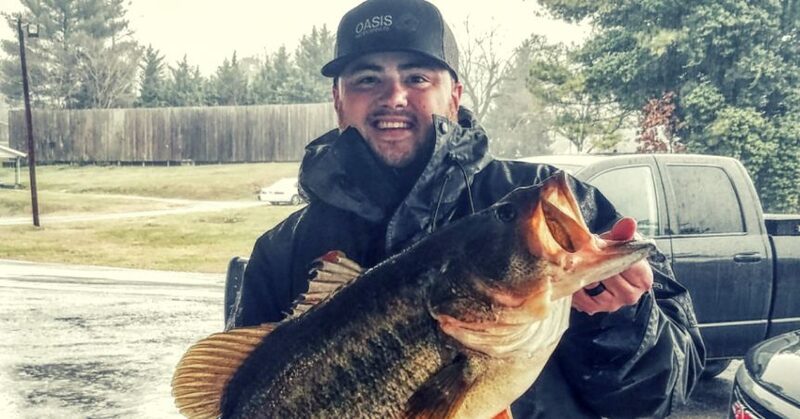 Derek Turner, a 27-year-old lunker hunter was recently preparing for an upcoming tournament with his fishing partner when he hooked into a certified river giant. 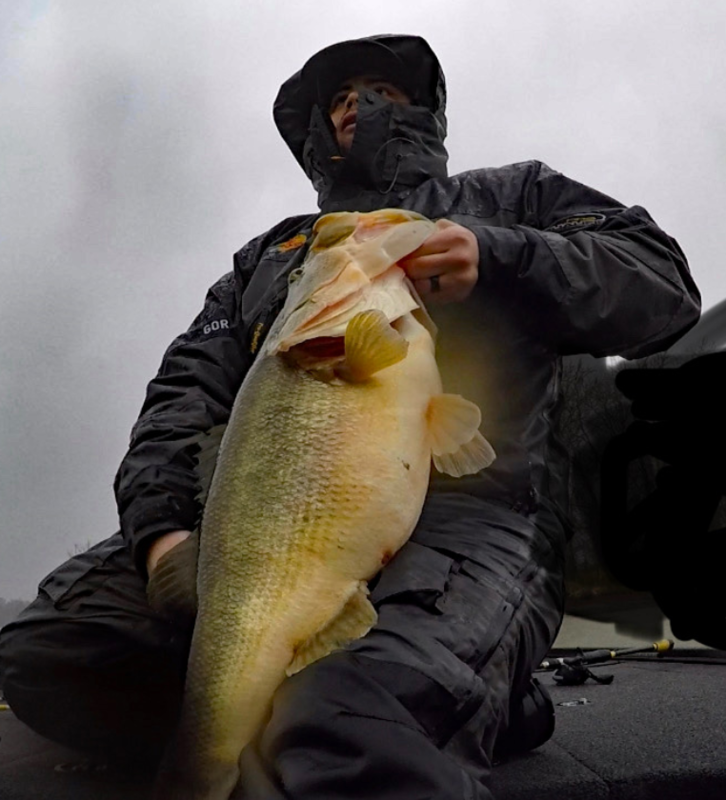 The two were faced with grim conditions as they chucked crankbaits in the midst of an uninviting Tennessee winter storm. Derek was targeting a school of bass feeding on baitfish that he located using his electronics. The fish were sitting in a shallow ditch just off the main river channel. He fished with a 3/4 oz Bill Lewis Rat-L-Trap (classic ledge bait) while running 17lb Fluorocarbon line. The guys know this area well and had caught a 3+ pounder previously in the day before hooking into the biggun. Sometimes you just know you’ve hooked into a big fish, you don’t need to see it jump or boil on the surface, you just know. That was the case for Derek, he right when he seth the hook that this fish was different. It didn’t jump during the battle but it did roll to the surface providing just enough of a glimpse to let the boys know they were hooked into a true giant. Thanks to a handy net man the fish made it to the boat after a quick and nerve-wracking battle. The fish measured out to 27 inches with a 23-inch girth weighing in at 14 pounds and 3 ounces, just one pound short of the state record! They measured the fish on a certified scale at the boat landing and then returned it safely to the spot where it was caught. Congrats to Derek and good luck on the tournament trail this season!